# Sift flour, salt, sugar and cinnamon. # Add milk and beaten egg. # Mix lightly, then stir in melted butter and grated apple. 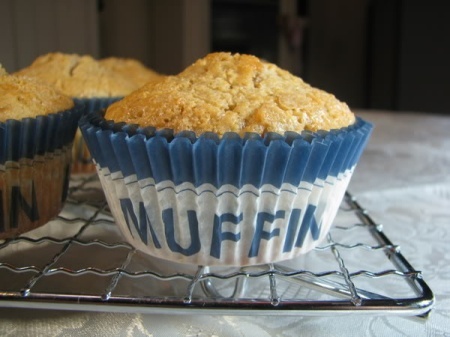 # Mix and pour into greased muffin tins 2/3 full. # Combine topping ingredients and sprinkle over. # Bake 200c for 15-20 mins.